This best seller is a powerful inflammation fighter and includes Cavacurmin™—which is clinically proven to be up to 40 times stronger than ordinary curcumin. Plus added antioxidant support with grapeseed extract and resveratrol. The science is clear, and it’s riveting! Inflammation is at the root of every major joint complaint…and, boy, can you feel it. A side effect of our modern lifestyles and eating habits, research has confirmed that unchecked inflammation is the real culprit behind not only those stiff knees, hips, wrists, and fingers, but today’s most pressing heart, brain, digestion, and blood sugar concerns as well. Nearly everyone can benefit from a standardized, quality-sourced, highly absorbable curcumin supplement. Its natural anti-inflammatory powers help support comfortable, flexible joints while promoting optimal heart, brain, and blood sugar health: It can even help slow the negative effects of aging. Cavacurmin® is one of the fastest absorbing and highest quality forms of curcumin available today. Combined with Resvinol-25TM and grapeseed extract, it’s one of our best selling products. Cavacurmin®—40x more absorbable than ordinary curcumin, this powerful nutrient can help promote a balanced inflammatory response anywhere and everywhere in the body. Promoting joints, heart, brain health and more. 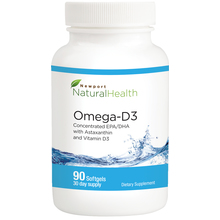 As a powerful antioxidant, it can also help neutralize free radicals, slowing the negative effects of aging. Resvinol-25™—This standardized, proprietary combination of resveratrol and red wine polyphenols delivers additional support for a healthy inflammatory response and a giant boost of antioxidant support for protection against premature aging and free radical damage. Grapeseed extract—Another standardized extract with enhanced potency and absorbability, grapeseed extract contributes additional antioxidant and anti-inflammatory support for comfort, flexibility and protection throughout your body. Other ingredients: medium chain triglycerides, gamma cyclodextrin, gelatin, glycerin, sunflower lecithin, purified water, turmeric dispersion in sunflower oil, yellow beeswax and silicon dioxide. °Cavacurmin® is a registered trademark of Wacker Biosolutions. It is a microencapuslate of Turmeric rhizome extract (Curcuma long) with gamma-cyclodextrin. 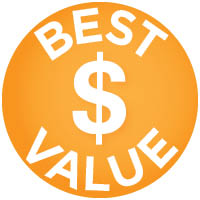 •Resvinol-25™ is a trademark of Ethical Naturals, Inc. Suggested Use: As a dietary supplement, take one (1) softgel daily with a meal. Taken as recommended, each bottle is a 30 day supply of the supplement. ALLERGY INFORMATION: However, it contains no milk or milk by-products, egg or egg by-products, fish or fish by-products, shellfish or shellfish by-products, soy or soy by-products, tree nuts or tree nut byproducts, wheat or wheat by-products, peanuts or peanut by-products, or gluten. It contains no artificial colors or preservatives. WHAT TO KNOW IF YOU'RE TAKING MEDICATION: Curcumin EX Plus is safe for most people to take. However, if you are pregnant or lactating, or taking blood thinning prescription medications, including Plavix (clopidogrel), Coumadin (warfarin), or Pradaxa (dabigatran etexilate), consult a health care professional before taking this product. Curcumin EX Plus should be kept out of the reach of children. New research suggests the curcuminoids in turmeric offer a wide range of healthy benefits. * Unfortunately, regular curcumin products are particularly difficult to absorb. To overcome this challenge, we created Curcumin EX Plus–a curcumin formula that is up to 40 times more absorbable than standard curcumin extracts. Curcumin EX Plus also includes grape seed extract, resveratrolm and red wine polyphenols—three powerful antioxidants that will make this formula work even better for you. This unique combination of ingredients helps target the free radicals and helps promote joint and cardiovascular health. Curcumin EX Plus is designed for anyone looking for extra antioxidant support. It is also ideal for anyone wishing to help reduce temporary inflammation associated with physical overexertion to maintain a healthy cardiovascular system, comfort their joints and age gracefully. Research indicates that OPC may also support capillary strength and may help to maintain collagen and elastin. They also have been linked to a healthy inflammatory response. Red wine has more polyphenols than white wine, which is made from skinless grapes. It is theorized that the health benefits of drinking red wine in moderation are partly attributable to resveratrol and the other polyphenols it contains. No. The gelatin found in the softgel is made from bovine (cow) and porcine (pig) sources. Our softgels are all pharmaceutical grade, and are made from the same gelatin that is used by leading pharmaceutical companies. However it contains no milk or milk by-products, egg or egg by-products, fish or fish by-products, shellfish or shellfish by-products, tree nuts or tree nut by-products, wheat or wheat by-products, peanuts or peanut by-products, soy or soy products. It contains no artificial colors or preservatives. Medium chain triglycerides, gamma cyclodextrin, gelatin, glycerin, sunflower lecithin, purified water, turmeric dispersion in sunflower oil, yellow beeswax and silicon dioxide. Some people may experience loose bowels when first taking products that contain curcumin. Make sure you take it on a full stomach at the recommended dosage. As with any product, there may be some infrequent and/or unusual reactions to this or any other nutritional supplement. If you experience a recurring reaction, you should discontinue use of this product. Curcumin EX Plus is safe for most people to take. However, if you are pregnant or lactating, or taking blood thinning prescription medications, including Plavix (clopidogrel), Coumadin (warfarin), or Pradaxa (dabigatran etexilate), consult a health care professional before taking this product. Yes, Curcumin EX Plus is designed to be taken with all of the products in the Newport Natural Health line. To preserve the quality and freshness of this product, keep the bottle tightly closed, and stored in a cool, dry place. Every batch of Curcumin EX Plus is tested for lead and heavy metals. 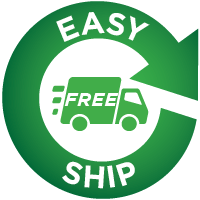 Each batch is delivered to Newport Natural Health with a Certificate of Analysis from the manufacturer stating that the products are free from heavy metals or within the limits set by California's Proposition 65 - the most stringent in the country. Product safety is paramount to Newport Natural Health. Every batch of Curcumin EX Plus is tested for microbiological contamination to prevent consumer exposure to harmful pathogens and food borne illnesses. 16. How and when should I take this product? >As a dietary supplement, take one (1) softgel daily with a meal. 17. How many capsules are in the bottle? We’ve updated our look! It was time for a change, but only on our labels. Inside the bottle, you’re still getting the same top-quality product with the purest, most potent ingredients Nature has to offer.. 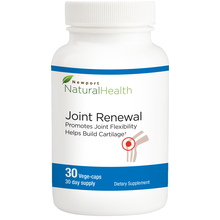 It aids my joint renewal in keeping my joints flexible, and it aids in my cognitive function since I am 71 and have no memory issues. I feel better, stronger, it is working to enhance my overall health. It seems like it helps with inflammation in general. As far as I know it does a lot overall. I can tell a difference between when I take it and when I don't as far as the flexibility of my knees and other joints. It has helped me to feel better, more energy, and the knee and ankle problems I have had have basically diminished. The first thing I do every morning is take this special pill! I'm 69 am never sick, never have the routine aches and pains associated with getting older. I'm in perfect health and rightly or wrongly I attribute it all to my daily dose of Circumin Ex Plus! Good product, used for years, very effective for me. Since taking the named supplement, I have had less aches and pains in my knees. Curcumin Ex Plus works quite well for me. I have less knee joint pain and most of the time no pain at all. Curcumin EX Plus has seen a reduction my pain level. I used to have difficulty sleeping at night due to pain caused by small movements. That no longer is a problem. Also, while walking, sudden movements in this or that direction no longer results in sharp pain being felt. Thank you for this product. My joints feel better already, I'm able to move quicker! When taking Curcumin EX Plus over the past three weeks, I noticed an extreme difference in how my body feels: more energy and less inflammation. I have inflammation and had started aching in my joints. I read about the benefits of Curcumin. I could tell a major difference in my body in less than one week of starting the product. I thought I could do without it and ran out, but the pain came right back. I plan to continue using it. Well, I am a skeptic, so I think some reviews are sent in from friends of owners or family of the company. Well I am an every day average joe. This review is 100% real. I was having my toilets replaced with higher ones because I could not bend my knees to sit down! Honestly I didn't know I had gotten better until I stopped taking it. Then I realized I was bending, kneeling, & squatting without the usual pain & or usual grunting noise I make when going in one of these positions. The pain was gone in my joints. I was able to stir while cooking again instead of calling my husband to do it. Well, I decided to have auto ship so I will never run out!!! It has helped with joints, inflamation in the stomach so don't have take Prilosec all the time. I have made jewelry for 15 years. I have the beginning of aching and soreness in my thumbs and fingers. This product keeps me free of pain. I’ve tried a lot but, this is the most effective one I have tried. My 95 year old Mom has had two broken hips, she has a trigger finger, and a rod in her left ankle. She experienced Bursitis and Arthritis in her hips and wasn't able to open one of the trigger fingers unless she pried it open with her other hand, which was very painful. I started her on Curcumin EX-Plus and now she has less pain in her hips, can move about much more comfortable, plus she can move the trigger finger freely without having to pry it open. Thank you for your product! I just have confidence in this product that you put out...I trust you! Has definitely helped with pain in my hips and back. This stuff REALLY works! If I don't take it for a day or two, I start getting really achy. When I take it every single day, my whole body feels good. Have have found it to be very effective for my chronic neck pain. Yes, a healthy booster to my body. Overall experience a healthy body. I was skeptical at first, but the pain in my knees had become so intense, I thought I would give this product a try. Within a few weeks of taking Curcumin Ex Plus I noticed that my knees had become less painful, my legs didn't ache as much any more, and I could stand up for longer periods of time without feeling that annoying ache. I could then walk long distances without the use of my cane or walker. My family and friends have noticed the improvement that this product has made in my life. I would highly recommend it. The product helps me do my job. I take Curcucimin daily from you. My fingers don't hurt when I do. I have some pain in my fingers. I work with a lot of files jammed together. The product helps me do my job. I use your complete blood sugar and cholesterol products also. They are excellent! I’ve been taking this product for 4 years- haven’t missed a day! I began using this when I was experiencing hip pain. After a couple of weeks I remember thinking , Hey! My hip doesn’t hurt!” The biggest benefit is that it reduces inflammation throughout the entire body. I did a lot of research and found this company provided the quality that I would expect from a top of the line supplement. It's proven it self over the years with lots of people. I've been taking it for the last few years. Heart & brain are good as allways. I will never try another Curcumin. I have recommended this to my friends in other states, I have tried many other forms of Curcumin and none ever worked like this. I will never try another Curcumin. OK. This stuff appears to be amazing! I started the Cardo Supplement which contains 500mg of the Curcumin, back in July 2014. After a short time, I noticed a difference in my aches and pains being pretty much gone. After checking to make sure I wasn't going to be taking too much, I added the Curcumin EX to my regimen for a total of 1000mg a day. After almost a year, I am mostly pain free. Whereas I went to chiropractor 2-3 times a month, I go once every few months now. I convinced my husband to take the Cardio supplement as he has A-fib, among other things. We also began with smoothies for breakfast with turmeric, ginger, and other things. After just a few months, the swelling in his hands, from arthritis, had gone done to almost normal as did the huge bump on the joint inside his thumb-wrist area. He can now make a fist for the fist time in years and can grip with his hands. I have been holistically inclined for years but curcumin has made a huge difference in our health. This is my favorite product. I am naturally skeptical of health products because, as a pharmacist, I am aware of clinical studies of pharmaceuticals lacking on "dietary" supplements- I only purchase these products from this company because I believe they exceed standards by far. I have been taking the Curcumin EX Plus for a few months now and I love it. It has helped my overall health improve and I have seen the inflammation in my knees (my biggest problem) go away very quickly. I have not found any other product that works for me as well as this one, and I have been searching a long time. Curcumin EX Plus is my favorite! When I first started two years ago I had pulled my hip flexor. I started taking the Curcumin EX Plus and experienced results in three months time. Both my husband and I can tell within a week after not taking it because our joints ache. On a daily basis I can be on the treadmill for more than 40 minutes whereas before I couldn’t stay on that long. Overall, I feel more energized. It has helped keep my knees healthy. It has helped with clearer thinking and reducing the inflammation for both myself and my mother. This product seems to be helping me. My only complaint is that the capsule is so big that it is sometimes difficult to swallow. I have been taking this product for over a year. I am taking it to help with inflamation and cardiovascular health. My blood pressure has improved. Years ago, I had problems with my hands at the joint where the thumb meets the wrist. This got enlarged and coctors told me this was from operating a powersaw for long time. This became so bad that I could not sleep at night. I tried many different pills, lotions; nothing helped.Then I tried Curcumin, (first the EX, now the Ex Plus). It Was GREAT. No more pain, and I could sleep all night. I still take it every day. Thank you very much!!! Energy is up and blood pressure has leveled off. Yes, the product gives the user more than what is advertised	My GP told me that whatever I am using, keep it up! The results are very good. 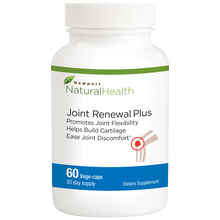 I have experienced less joint pain since taking this product. It helps my joint problems. It has really been helping me to get through the day much easier. I don't seem to have nearly as much body pain as I did before I started taking this product. I seem to have more energy now that I have been taking this product. So far so good. haven't been taking very long but appears to be helping my joint pain. I cannot tell a difference yet, but I will continue to take it. Took it daily for 7 weeks. No results--did not work for me. Felt no different, still had aches & pains and low energy. I tried it because I believed all the positive hype in your circular, so thank you for your money back guarantee. I seem to be allergic to something in it. I was hoping it would help with itchy rashes, but now I have more of them, and it takes them weeks to heal.